Egyptian and Liverpool’s Mohamed Salah will be fit to feature in the World Cup group stages, according to the Egyptian Football Association. 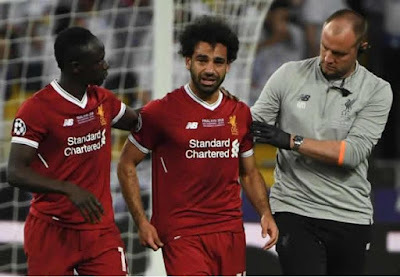 The forward looked unlikely to play any part in the summer tournament after sustaining a shoulder injury tangling with Sergio Ramos in the first half of Liverpool’s 3-1 defeat against Real Madrid in the Champions League final on Saturday night before leaving the field in tears. Egypt’s opening World Cup match takes place on 15 June against Uruguay , with their second against the hosts Russia coming four days later. Should Salah not return in time for either of those games, he could still appear in Egypt’s final group match against Saudi Arabia on 25 June.